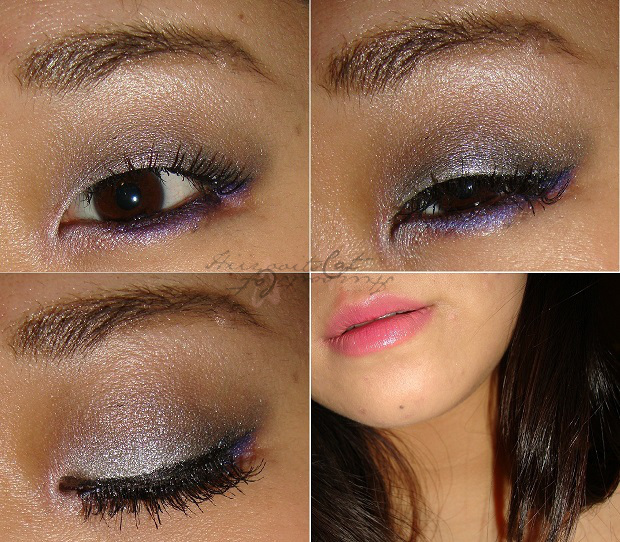 This look is mainly using colors from the Night Life Palette by EM Michelle Phan Cosmetics. I wanted to test out the palette and use as many products as I can, so I tried to do an entire look with the palette. The silver 'poppin bottles' had a lot of shimmery fallout while 'get ready' had some fall out but not as much as the silver. The lipstick 'uptown' is very pretty on the lips but was a bit drying so I applied the gloss 'downtown' on top. This look is very shimmery and probably would have looked best with a matte highlight but the palette doesn't have one, so I went with 'twinkle twinkle' a beautiful satin/frosty. Aside from the fallout the shadows applied nicely with my elf brushes and were easy to blend. They also lasted all day over blinc's eye primer. The lip products however disappeared quickly after eating (I had grilled chicken and some fries). The blush went on beautifully and blended well with just the right amount of pigmentation. After realizing 'poppin bottles' was poppin glitter and shimmers all over my face I went ahead and sprayed some water on my brush and applied the shadow wet. Looked beautiful and vibrant and more importantly less fall out! This look was really messy to put together and shimmery. Definitely more of a night look than day. Those were just some shades from the life palette. Want to see my full review on the Night Life or swatches? You can read my full review HERE. Thanks for reading! 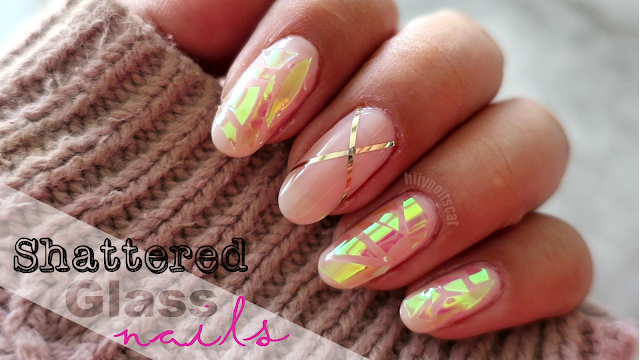 See you on Manicure Monday. That looks so pretty on you! I love the shimmer. I wasn't that interested in Em Cosmetics, but you do look so good in them. Thank you!! I have been using the palette everyday. I use the palette more than I thought I would. Very pretty. I am loving your eye makeup! omg i just saw your review and i comented how much i loved it and now these!!! ajjajaja i am pretty much in love with your reviews, i had never seen someone showing how the shadow applies and also labelling the colors on the eye!! such a great idea, congratss!! Thank you! I figure labeling the colors would be easier for some people to see where I applied it =). Thanks for your comment Sofia!